My Ash Wednesday is off to a crazy start! Last night I had these weird nightmares. This will teach me to write on my Web log about Larry Solomon. I was punished for yesterday's post! I dreamed that there were all these little vacuum cleaners and little Larry Solomon heads all scuttling around on the carpet. It was kind of Satanic and I woke shivering. I went back to sleep after that but things were not the same. They are not, after you dream of little Larry Solomons and little vacuum cleaners. That was really creepy! When I got up I got my coffee as usual and settled in at the computer hoping to get some work done. And as soon as I turned on the computer it began blasting Gregorian chant. It must have been some podcast, is all I can think. Being a nerd I subscribe to a bunch of Catholic and classical music podcasts. But I could not find anything about it on the computer and I could not even find a way to turn the volume down. So I worked for a while, listening to this chant. Periodically the thing would pause for a prayer or a reading from St. Paul or something. That is why I think it was a podcast. After a while I began getting worried about it because it was hard to concentrate on other stuff while it was playing. I restarted the computer. And now the plot thickens. When the computer came back on, it was not playing Gregorian chant. It was blasting Pennario playing Bartok! I recognized it instantly. I was just listening to that yesterday and that is not a recording you forget. Fine, I love that performance. So I listened to it. When the Bartok ended, the computer fell silent and I forgot all about the problems. Then, without warning, after half an hour, the chant started up again. No rhyme or reason. Perhaps the computer is doing penance for Lent! Perhaps it is running from the devil. Next thing you know it will begin a fast. When I get on Epicurious it will not let me see any meat recipes. 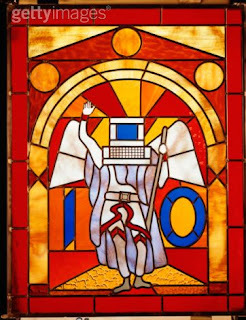 When I get on my diet site and confess that I had a glass of wine, the computer will scold me and read to me from St. Paul. When I go looking for Pennario on YouTube it will instead start showing me "The Ten Commandments." That is coming! I can feel it. But, you also might have a computer virus.